Prime Minister Theresa May of the United Kingdom survived an internal confidence vote by obtaining 200 votes to 117. In other words, the internal Conservative Party vote shows clear dissent. Also, prior to the vote, she promised to step down before the next scheduled general election. Hence, her sole focus is implementing Brexit despite having no outright mandate in parliament – and in the knowledge of huge divisions inside the chambers of power. It means that May is in charge of a minority government that relies on the goodwill of the Democratic Unionist Party (DUP) from Northern Ireland. Yet, despite May’s weakened position – and agreeing to step down before the next general election – it seems that the leading opposition party, the Labour Party, will not gamble on bringing down May unless the leadership believes it is cast iron. 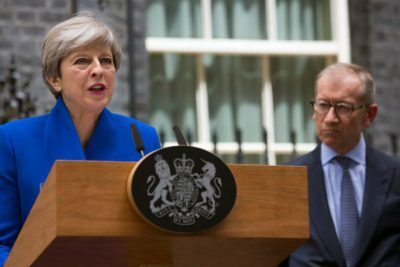 May will continue to stumble on – but in the knowledge that she will not remain in the leadership role during the next scheduled general election. Hence, tensions over Brexit will continue because the main party is clearly divided. Therefore, just like the people of the United Kingdom, the political system is equally divided on the contentious issue of the European Union (EU) and Brexit – including internal political divisions. In conclusion, May is in a more weakened position. Despite this, she will continue to strive to deliver Brexit but the minefield remains. Indeed, if anything, the water is even muddier because no position will fully satisfy the people of the United Kingdom and now the leader of the United Kingdom is on borrowed time. Similarly, no Conservative Party can deliver Brexit with the full backing of fellow members of parliament. Hence, more turmoil will unfold over the issue of Brexit.